The entry way is an introduction to your home and sets the mood for how you live in it. 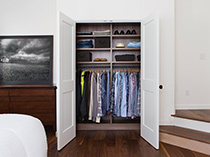 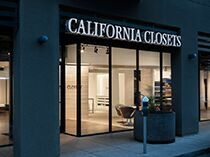 Hanging rods, drawers, doors and shelves transform a cluttered and disordered hall closet full of winter coats, boots and umbrellas into a space of functional organization that allows people to come and go with ease. 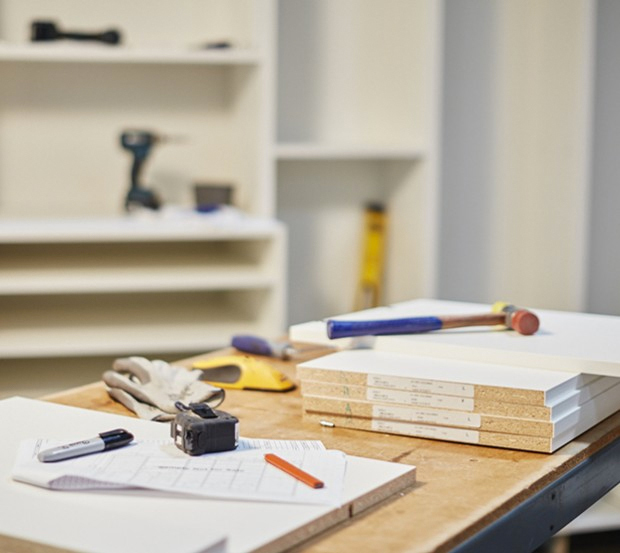 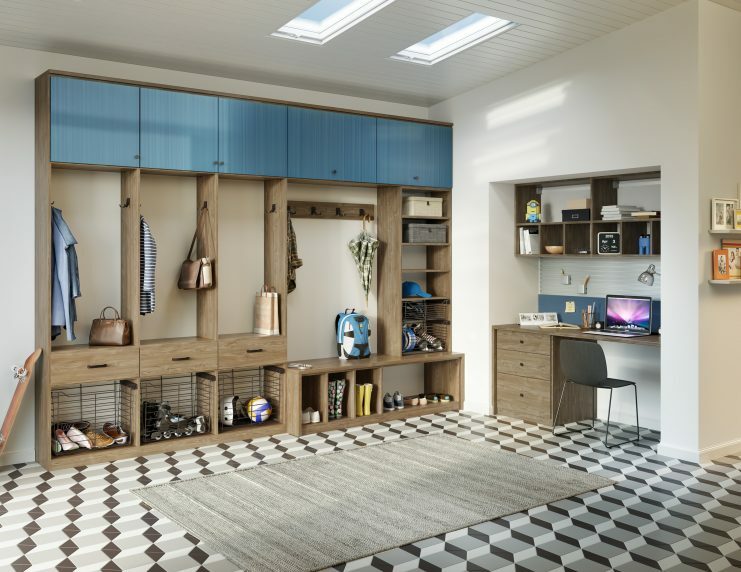 Accessible storage, hooks for outdoor gear, and designated places for coats and boots create organization and efficiency..
Small drawers store keys and correspondence supplies. 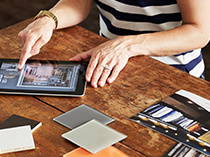 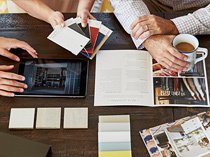 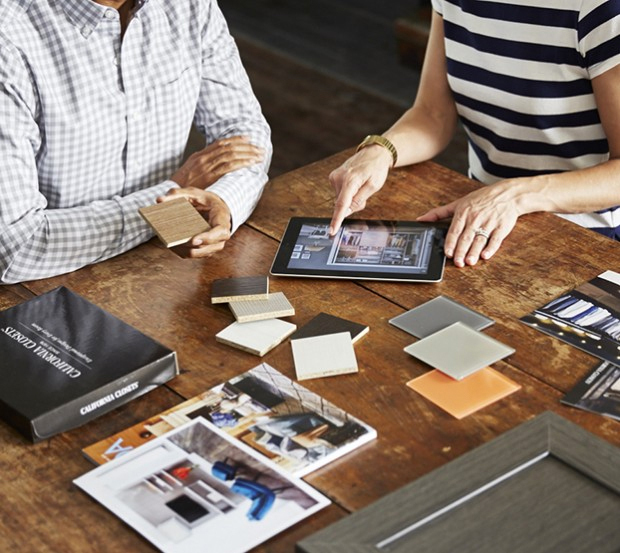 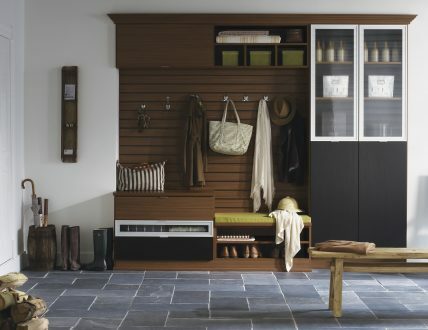 Lago® Siena and Classic Black finish create a rich, modern colour palette. 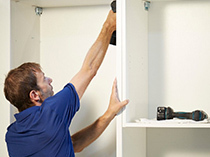 Plenty of shelves and cubbies ensure easy organization for the whole family in this functional solution. 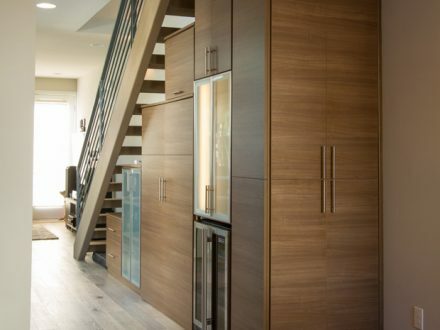 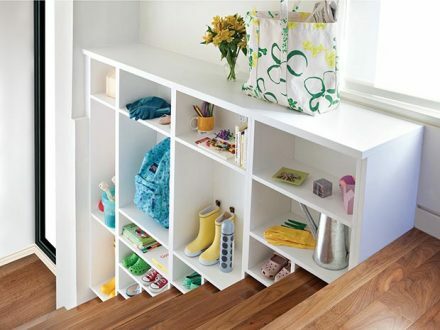 Utilizing under-the-stairs space, this integrated system allows the whole family to stay organized. 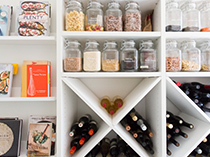 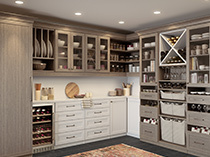 Finger pulls and top cap shelf details add to the design aesthetic. 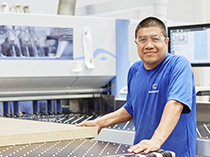 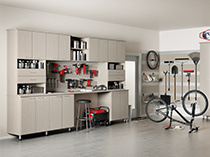 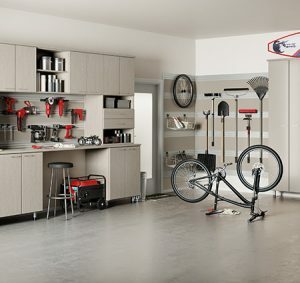 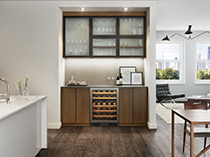 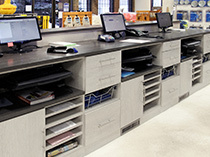 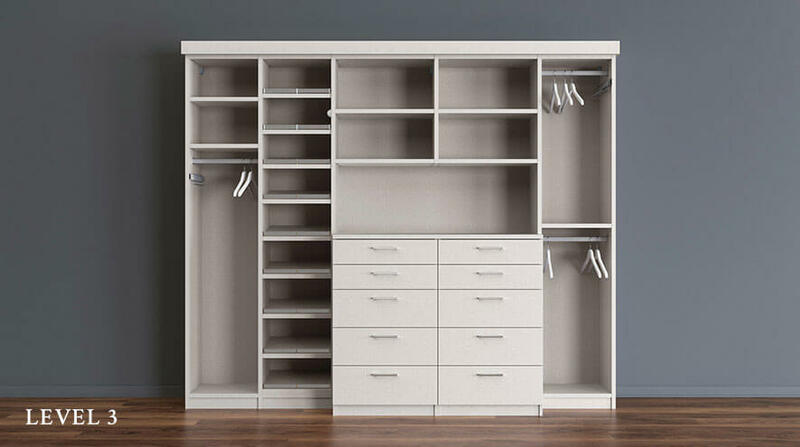 Everything has its place in this system, which incorporates hanging space, drawers and cubbies for maximum functionality. 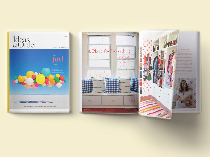 Maximizing a smaller closet with smart organization solutions allows for seasonal storage in this clever system. 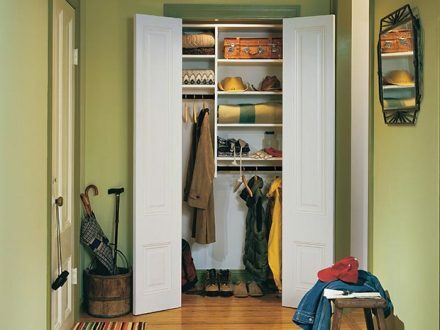 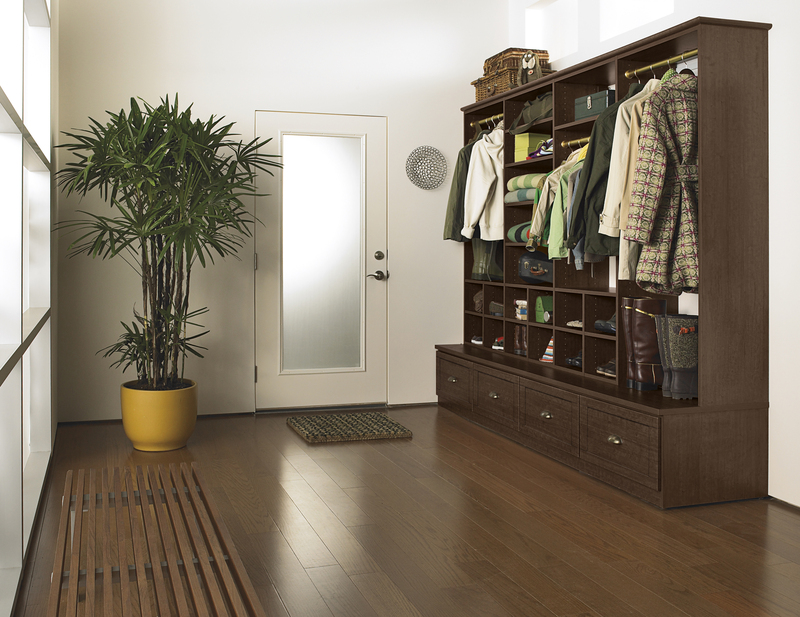 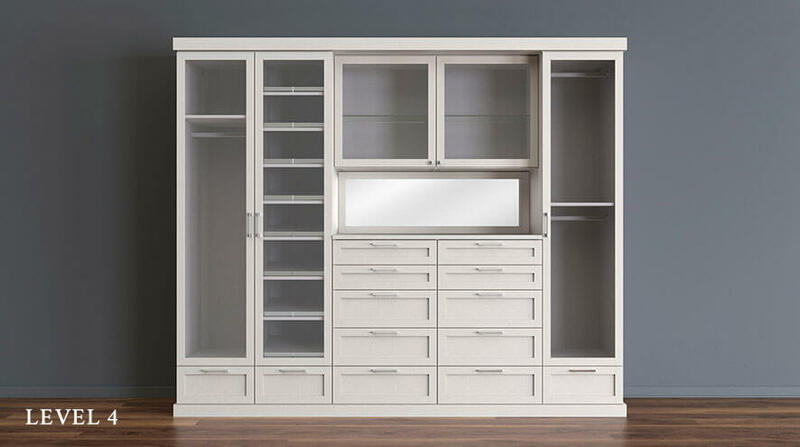 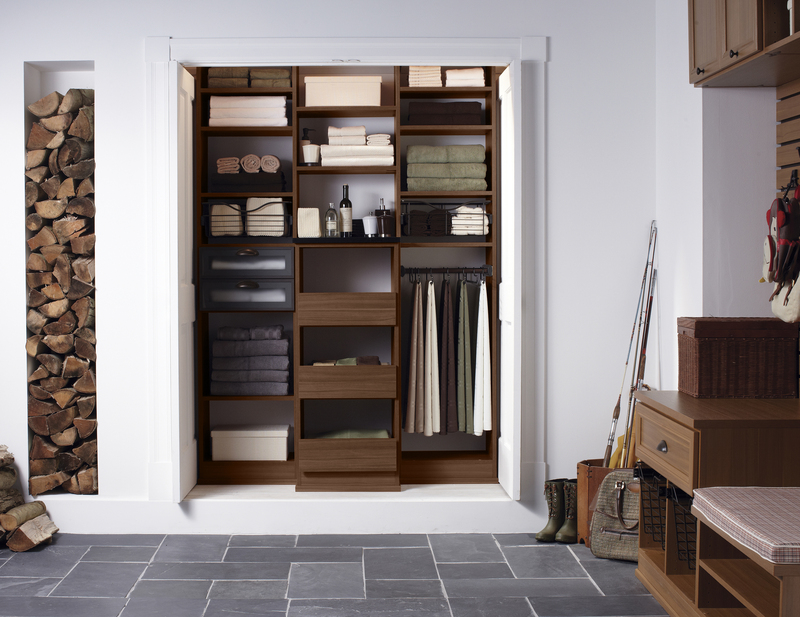 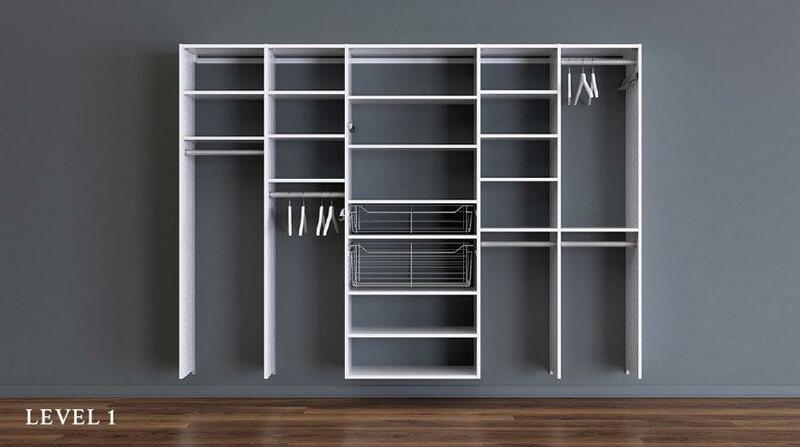 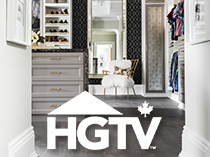 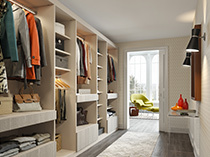 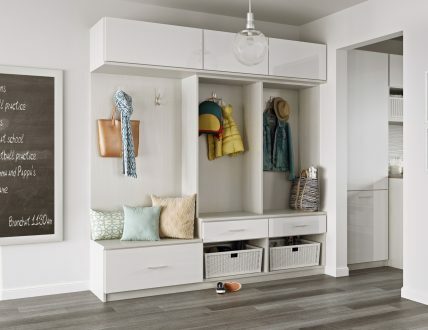 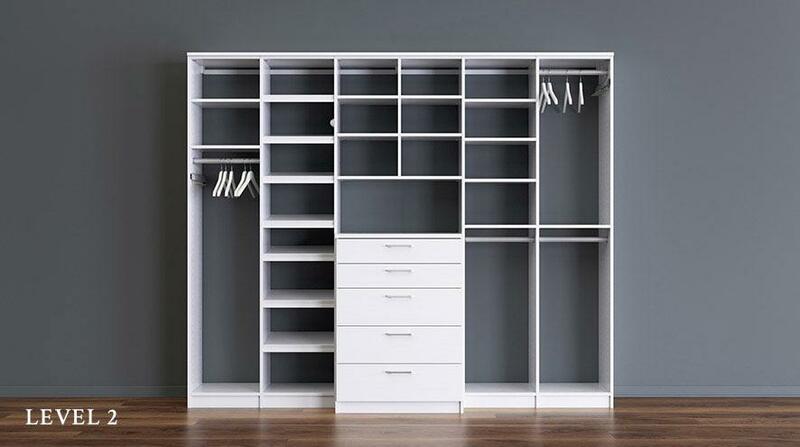 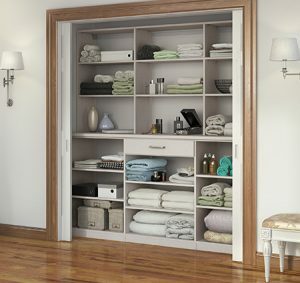 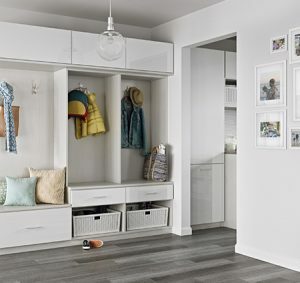 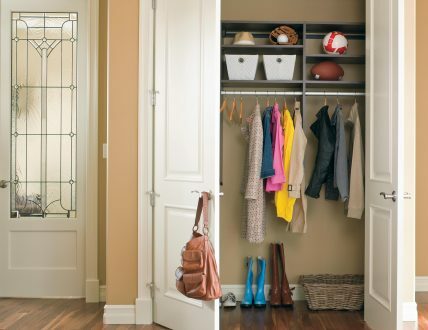 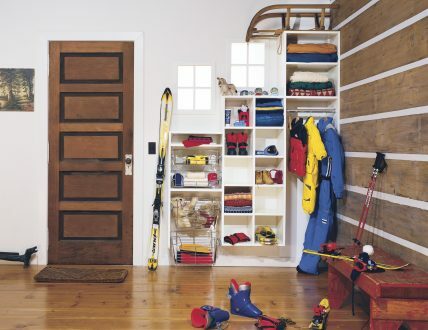 Simple and efficient, this design maximizes an existing hall closet to provide extra storage for most-used items. Classic White finish creates a clean, contemporary look. Oil Rubbed Bronze poles add contrast and visual interest to the design. 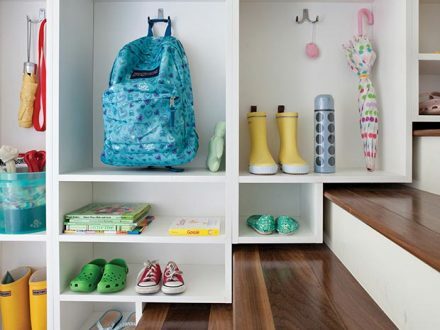 Creative shelving above the stairs adds entryway storage in a fresh way. 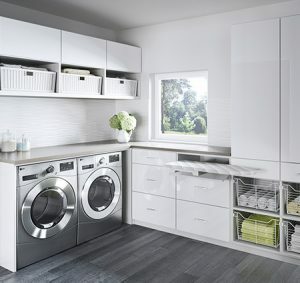 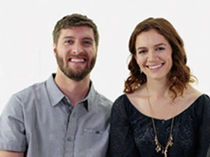 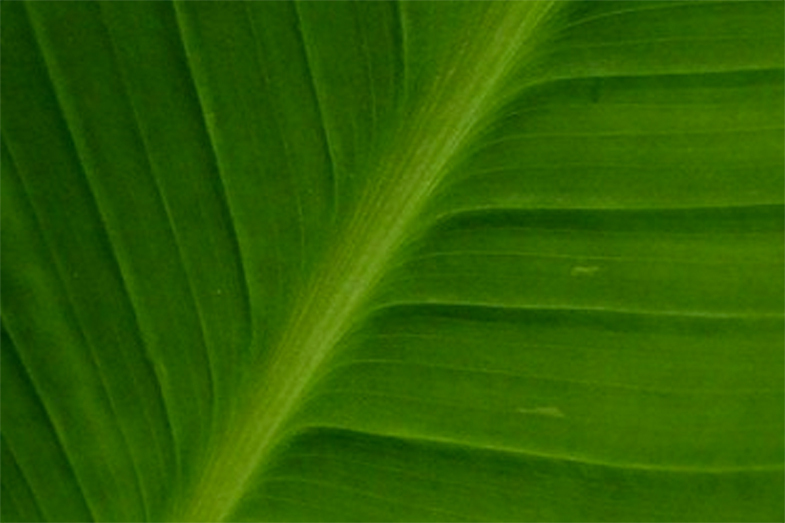 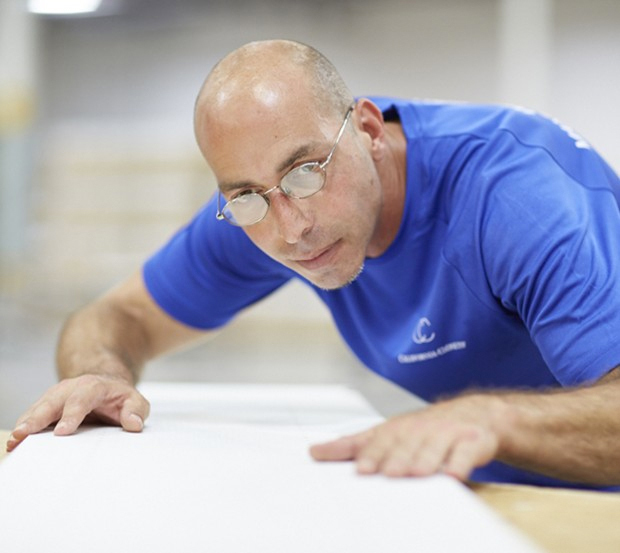 Lago® Bellissima White finish adds a subtle texture to this contemporary, functional design. 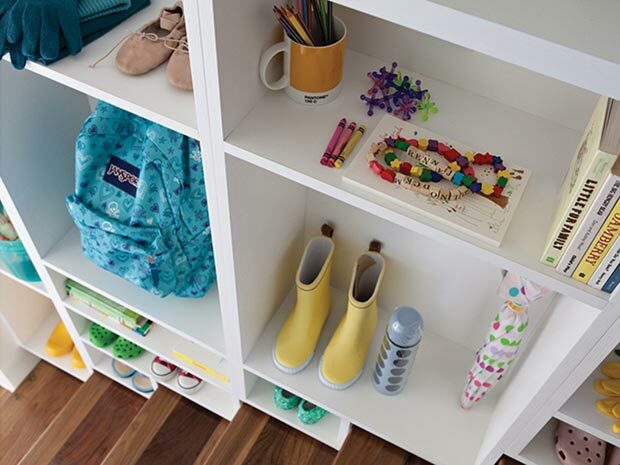 Open shelving with chrome double hooks keeps backpacks, shoes, and gear organized and easily accessible.